Winchester Ammunition has a rolled out a new website, enhanced ammunition ballistics calculator and redesigned gear store. Whether you're a deer hunter, predator hunter or pursue other game, having the most updated information about products and what they can do is important. In today's world, that includes ballistic calculators for ammuntion and optics companies hoping their customers get dialed in for the best success in the field. 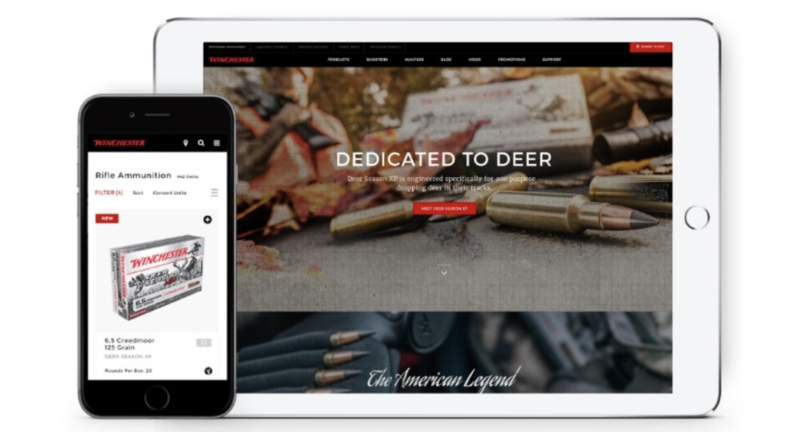 Winchester's done this with the launch of its new Winchester.com, its most dynamic digital platform in the brand’s history. The new website is fully loaded with enhanced technologies and functionality and also features an enhanced ballistics calculator and redesigned gear store. The new website will feature an enhanced Ballistics Calculator and Pattern Board app, as well as volumes of rich content that is second to none in providing customers with the very best experience when learning about the Winchester brand and products. The calculator provides a visual graph that displays for shooters exact placement for their round of choice, with flight shown in increments as small as five yards. Precise trajectory for hundreds of rifle, rimfire, shotgun, and handgun cartridges, bullet weights, and ballistic coefficients, including variations for sight-in range, maximum shooting distance, air temperature, crosswind, and even flight time can be put into a shooter’s hand with the Winchester calculator, letting him make useful side-by-side comparisons among five separate rounds. Detailed statistics chart for fine-tuning your shooting to a degree unimagined not all that many years ago. The chart is printable in regular format or in a smaller version that a shooter can apply to his/her rifle stock to provide quick reference in the field. Available as a free download for iPhones and iPads through your Apple iOs app, it can also be downloaded for free onto Android phones and tablets through Google Play; and it is scalable to fit any device.